Newcomer Family Obituaries - Shirley Ann Clarkson 1941 - 2018 - Newcomer Cremations, Funerals & Receptions. Shirley Ann Clarkson went home to be with the Lord on September 10, 2018 after a short but hard fought battle with pancreatic cancer. Preceded in death by her beloved parents Frank and Sadie Archer; sister, Ruby Deboard and son-in-law, Randy Friesland. Survived by her loving husband of 46 years, John M.E. Clarkson; sister, Edna Cobb; brother, Frank Archer. She leaves behind her beautiful loving children and their spouses, Lisa Friesland, Sharon "Sherry" (Kevin) Henestofel, Jim (Teresa) Clarkson; five beautiful grandchildren, Alishia (Wesley) Burgoon, Cassie (Jon) Moyer, Jessica (Nathan) James, Elizabeth Friesland, Jamie Clarkson; ten great-grandchildren that she loved very much, Brayden, Ayla, Wesley Jr., Jaron, Isabella, Blair, Brooklyn, Chase, Autumn and Triston; many nieces, nephews, cousins, aunts and uncles. 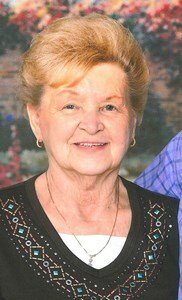 She worked at Federal Glass and J.C. Penney warehouse for many years. Shirley graduated from Columbus State with an Associates degree. She liked to crochet, do crafts and bowling. She loved her children, grandchildren and great-grandchildren with all of her being. She was there for them through the good times and the bad. She was loved by many and will be greatly missed. The family would like to give a special thanks to Karen and Roger Preest for being there for her and helping us through this heartbreaking time. Debbie, for one of the most important things to her, coming to her when she could no longer come to you to have her hair done. She loved them as if they were her children. Also, we would like to thank Hospice of Mt. Carmel for being so kind and understanding. Visitation will be held Thursday, September 13, 2018 from 4-8 p.m. at Newcomer Grove City, 3393 Broadway. Funeral service will be Friday, September 14, 2018 at 1:00 p.m. at the funeral home. Entombment to follow at Franklin Hills Memorial Gardens, Canal Winchester, OH. Add your memories to the guest book of Shirley Clarkson. Sharon, I am so sorry for your loss. You and your family will be in my prayers. We met Shirley a few decades ago, when Lisa turned 21. She was a great party hostess. We offer our condolences and prayers to Lisa and all other family members. Aunt Shirley was a sweet, quiet & loving woman. Richard and I send our love and prayers to all the family for comfort in this time. Shirley made us a beautiful baby blanket when I had my son 31 years ago and I still cherish it today. She was truly a special lady! Aunt Shirley was a very soft spoken, kind, and gentle soul. She always treated others with the utmost respect. We know Heaven holds a special place for angels such as her. Our love and prayers go out to the rest of our Clarkson family. May God bless you with His peace and understanding during this time of loss and adjustment.